Recently, BJP leader and advocate Ashwini Kumar Upadhyay addressed a letter to Prime Minister Narendra Modi requesting an increment in the retirement age of judges in India to 70 years. A major concern behind the proposal seems to be the huge backlog of cases and inordinate delay, which deprives the citizens of the right to speedy trial. The underlying logic for such a request seems to be that it would help retain judges, which would reduce judicial vacancies and hence clear up the backlog. However, such a request seems like a knee-jerk reaction and a reductionist solution to a larger and complicated problem of judicial backlog. Arghya Sengupta explains the crux of delayed justice by mentioning that mere focus on judicial capacity would not reduce delays because the major reason for delays is adjournments. He supports the same based on a study by the Vidhi Centre for Legal Policy (VCLP) on the Delhi HC, which found that in 91 per cent of cases that were delayed over two years, adjournments were sought and granted. Hence, a better solution to this problem would be to monitor and reduce the adjournments granted. Additionally, a helpful solution would be to initiate a disposal review mechanism, as suggested by Honourable CJI Dipak Misra. This mechanism would monitor and aim at disposing cases on a priority basis and would have action plans to accelerate the disposal of cases pending for more than 5-10 years. Furthermore, various reasons for delays are acknowledged in the letter and are classified into procedural and substantive factors. The solution of increase in retirement age of judges completely ignores the four procedural factors as mentioned in the letter. The proposed solution only seems to address one of the seven substantive reasons that he lists, which is the problem of judicial vacancies/delay in appointment of judges. However, there are better alternatives to address this problem. 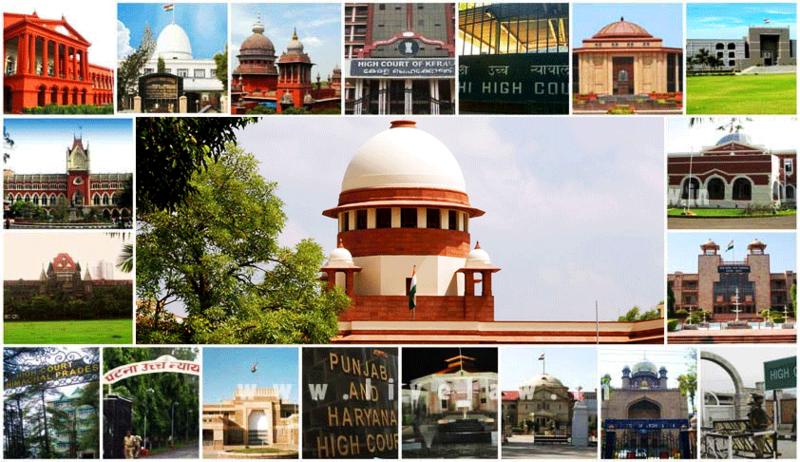 One could be the proposal by the Supreme Court for a central selection mechanism for filling up vacancies in non-constitutional courts and the need of having full-time experts in order to assist in identifying, evaluating and scrutinizing candidates at the pre-appointment stage and to evaluate performance post-appointment. Another way to tackle the problem would be to conduct an All-India test for the lower judiciary as suggested by amicus curiae Senior Advocate Arvind Datar and Law Minister Ravi Shankar Prasad. This would help attract younger talent from a larger pool and a uniform exam would also accelerate the appointment procedure. Lastly, considering how 143 names for judicial appointments were pending as of March 2018, the government should aim at accelerating the appointment of judges that have already been recommended by the collegium. The proposal is additionally supported by drawing a comparison with the retirement age for judges in various developed countries. However, what is suitable for some developed countries might not be suitable for India due to various reasons. Firstly, the age-wise demographics of India is much different from that of the developed countries. In India, the population is much younger as 45.24% of the population is below 25 years and a mere 6.24% of the population is aged 65 and above. Whereas in other developed countries, the population is much older as the population aged below 25 years is a mere 30% (UK- 29.43%, Australia- 30.59%, Canada- 27.29%, USA- 32.00%) and population aged 65 or above is more than a staggering 15% (UK- 18.04%, Australia- 16.14%, Canada- 18.63%, USA- 15.63%). Hence, having retirement age above 65 years makes sense for developed countries as it enables to keep a larger proportion of their population in employment, however, for India which is struggling with massive unemployment, it makes little sense to have a higher retirement age. Secondly, the average life expectancy at birth in India is merely 69 years, much lower as compared to the other developed countries (UK- 81 years, Australia- 83 years, Canada- 82 years, USA- 79 years). Thirdly, as mentioned in the letter, India has the highest backlog of cases and a much lower ratio of judges to the population in comparison to the other developed countries. This means that workload of Indian judges would be much higher as compared to judges in developed countries, hence it is pragmatic that judges retire at 65 years so that they are not overburdened at an older age. Additionally, the proposal also seeks to address the concern that the valuable experience of judges is lost if they are forced to retire at the age of 65. However, this valuable experience can be put to alternate use for the benefit of the legal fraternity without overburdening judges above 65 years of age. Retired judges would be highly valuable as chairperson of various committees working on policy reforms, legal aid and other such institutions in the legal field. Their experience could also be used in the teaching profession which would help enrich the quality of the bar and the bench in the future; this is especially relevant when the universities in the country are struggling with a permanent shortage of professors. Chittkrishna Thakkar is a third-year student at NALSAR University of Law. He has a keen interest in Constitutional Law and Human Rights law which he seeks to pursue during litigation.